MMK proudly presents companies that use Booking Manager as a primary booking system and distribution channel for yacht charter. Silver Partnership delivers business benefits for charter operator and guarantees charter agencies secure booking. Ban Tours is a reliable charterer and broker with large fleet of 38 sailing yachts based in Marina Frapa and Marina Kastela. They started a charter business in 2008 with a fleet of 10 sailing yachts and have been growing every year since then. Croatian charter operator Helios Stratos offers 8 yachts from Marina Baotic. Departure base is located near small town Trogir and provides a variety of choices to those looking for wonderful sailing spots. Koro Charter is a family company that is successfully dealing with a motor boat rentals since 1996. 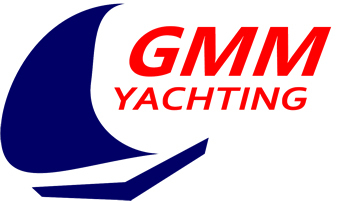 Their fleet is located in the famous Marina Punat on the island of Krk. Special attention is devoted to the equipping and maintenance of the boats. Yacht Center operates with a fleet of 6 motor yachts, available for departures from Marina Veruda, at the north of the Croatian coast. Greek charter operator Blue Sails offer their top quality 4 sailing yachts based at Kalamaki Marina, Alimos. With a tradition of 32 years and valuable experience in nautical tourism, Kekeris Yachts offers privately owned fleet of 30 sailing yachts, based in Athens/Alimos Marina, Lavrion/Main Port, Preveza/Preveza Main Port, Kos/Kos Marina, Rhodes/Marina Mandraki. Greek charter operator use Booking Manager as primary system to run their business and promote Oceanis 43 from Lefkas Marina. Puresailing Yachting uses Booking Manager as their primary system and offers 5 Sailing Yachts and 2 Catamarans from Athens, Lavrion, Lefkada and Skiathos thru largest yacht charter distribution network. Summer Sail is a small passionate team of people who enjoy sailing and would like to share the same experiences with people around the world. The company is family owned and clients should be expecting that certain personal touch. Based in Marina di Netuno and Santa Teresa di Gallura, Miceli vela offers fleet of 9 sailing yachts, ranging from 34 to 50 feet. The fleet consists mostly Bavaria yacht models. 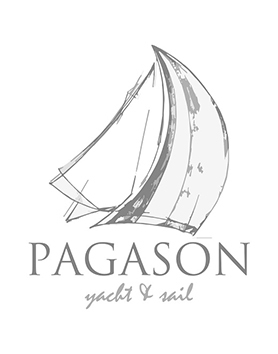 Palmayachts is the Portuguese yacht charter company specialized in nautical tourism in Portugal. They offer 8 sailing yachts based in Lisbon, Portimao and Funchal. Hanse Sailing is a direct provider with its own fleets in Palma de Mallorca which consist 5 sailing yachts. Fully equipped yachts offer great comfort and rigorous safety standards. Rumbo Norte is the pioneer of the charter business in Ibiza. They offer a fleet of 40 sailing yachts and catamarans based in Sant Antoni de Portmany Port and Marina Rubicon. Sail District designs true sailing experiences in luxury boats. They manage their fleet of unique boats and yachts, and they add heartmade experiences to live on board. Charter company Sailway offers bareboat and crewed charter in one of the most desired nautical destinations on the Galician coast. Located in the center of Ria de Vigo, their fleet consists various models of sailing yachts and motor boats. Based in Phuket, Langkawi, Nha Trang Vietnam, West Med. & Caribbean, Simpson Yacht Charter is offering both bareboat and crewed luxury catamarans in order to provide the best possible sailing experience to their clients.